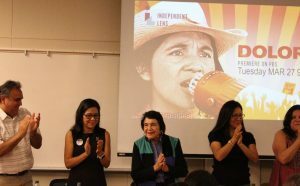 Dolores Huerta speaks about the film on her activism with farmworkers, the Dolores Huerta Foundation, and ways to organize and bring people together to make change. Dolores Huerta is one of the most historical human rights activist in American history. She is well-known for being the co-founder of the United Farm Workers (UFW) with partner Cesar Chavez. Huerta is currently the president and founder of her own organization, the Dolores Huerta Foundation, and continues to fight for equal rights. Bakersfield College History Professors, Olivia Garcia and Tina Mendoza, hosted a preview of the documentary, “Dolores” along with a discussion afterwards with Huerta and her adult children on March 12. The film was about Huerta’s journey being a Mexican American feminist and activist with 11 children. Her children often mentioned in the film that Huerta was always working and never had a real day off for years. According to her children, it was hard for them not to have their mother around. There was a lack of equality within minorities, and Huerta simply was not having it when she began in the 1950s. After seeing the horrible conditions of farmworkers, she decided to team with Chavez. 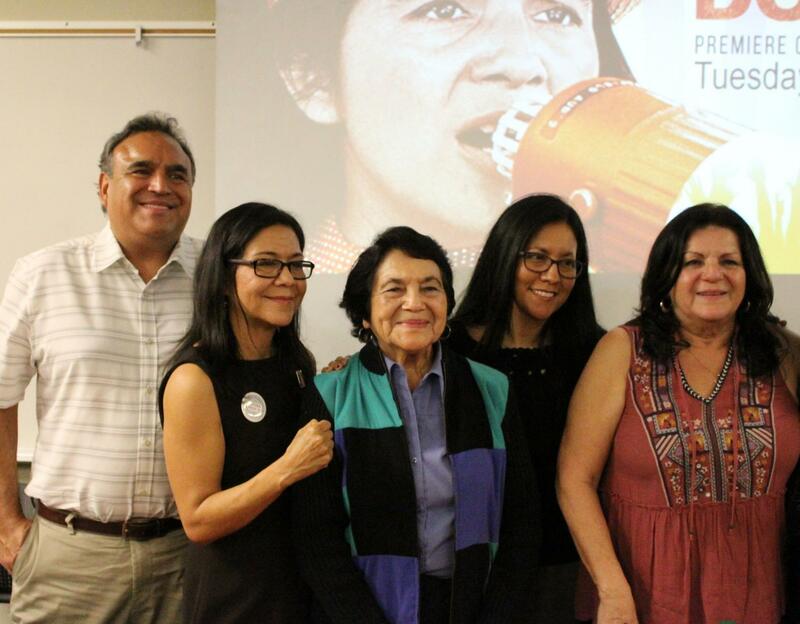 Dolores Huerta and her son and daughters: Emilio Huerta, Juanita Chavez, Camila Chavez, and Lori De Leon. 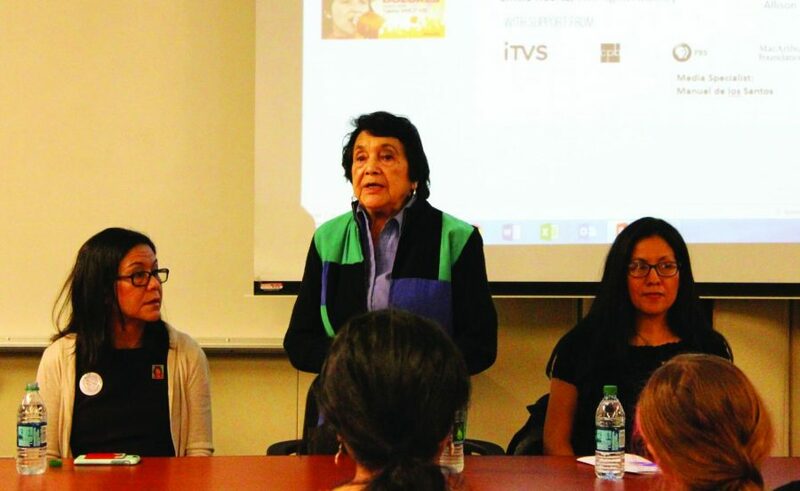 After the film was over, Huerta mentioned a flaw in the making of the film, and how she was perceived wrongly when it came to her being a possibly candidate for president of the UFW when Chavez passed away. “I didn’t run for the presidency, and they did film me saying that, but they didn’t put it in the movie, and it made it look very dramatic,” Huerta said. She added that when Chavez died, she was 63 years old and thought someone younger should run the UFW. Huerta advocated for Arturo S. Rodriguez, who is now the president of the union. 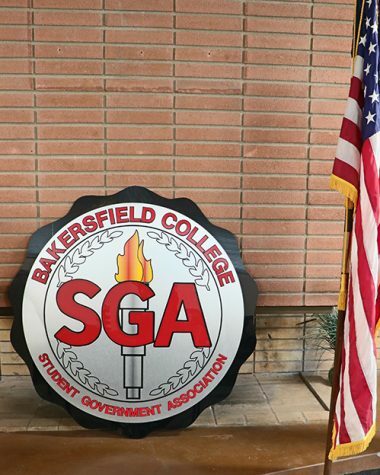 Huerta mentioned that there is going to be a special election on tax measure in Bakersfield on April 10, the day of her birthday. This is going to aim at businesses that aren’t paying for their property taxes. Garcia spoke about Huerta’s accomplishments through the Dolores Huerta Foundation, and the awards she has received through her many achievements. “She has worked for civil rights and social justice for more than fifty years,” Garcia said. She added that Huerta and her foundation are strong advocates for education and reform, and bring about infrastructure improvements for low-income communities. Garcia mentioned that Huerta is also an advocate for the LGBT community. The Huerta and Chavez families cheering along with students about voting and having the power to improve the community. She took note of some of the most recognized awards that Huerta received, and that was the Eleanor Roosevelt Human Rights Award in 1988 by President Clinton. Also, in 2012, President Obama gave Huerta the Presidential Medal of Freedom, which is the Nation’s highest civilian honor in the United States. The discussion was livestreamed to Delano, and they were also able to ask questions after the film. Huerta continues to fight for equal rights and is currently looking for volunteers and offering internships at the Dolores Huerta Foundation.